lisa is cooking: Rick Bayless, What Are You Reading? Rick Bayless, What Are You Reading? Chicago has been the home to some of the very best Mexican, regional cooking since Rick Bayless’ Frontera Grill opened in 1987. Two years later, Topolobampo, a fine-dining Mexican restaurant, opened in the same building. And, the newest member of this restaurant family is Xoco which is right next door. Xoco’s menu is described as street food, and Rick wrote a compelling explanation of what street food is and what contributes to the experience of eating it on his blog. Chef Bayless’ list of accomplishments and awards is lengthy and well-deserved, and it was a delight to cheer him on to victory on the first season of Top Chef Masters. I’ve been enjoying cooking from his book Mexico One Plate at a Time , and his brand new book, Fiesta at Rick's: Fabulous Food for Great Times with Friends , will be available this July. I knew he would have an interesting answer when I asked, what are you reading? People think that as a chef who specializes in Mexican cuisine, the only thing I cook in my spare time is Mexican food. Quite the contrary actually. One of my favorite things to play around with on the weekends is Asian flavors, especially Japanese flavors. This book shows people a great counterpoint to what many of us think of as Japanese cuisine. The “other side” of sushi rolls if you will. The tradition of Izakaya is rooted in deliciously fast, fresh bar fare, something everyone can appreciate. David Chang is one of the most progressive Asian chefs in the culinary world today. But buyer beware, this book is not for the faint of heart. His use of vulgar language and ingredients like pigs head are definitely not for your casual food fan. Thank you for participating, Rick! Check back to see who answers the question next time and what other books are recommended. 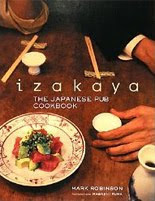 That Japanese Pub book sounds very interesting! Thanks for giving those cookbooks ideas and for your short review! Both books are awesome! Great reminders, indeed. great post, I love rick..very interesting to see what he is reading.. I enjoy your new "what are you reading" posts, it introduces me to books I have never heard of before. I should really buy a Rick Bayless book. I love his recipes. I'm really loving this series a lot. Thanks!! 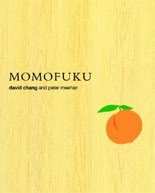 I've seen quite a bit of bloggers with the Momofuku book. I've got to get me a copy of that. I want to learn more about Japanese pub food! Oh you are so going to get me in trouble Lisa- I just asked for more cook books, and now realized I do not have any of Ricks! Now Tangle has me wanting to go to Topo... Hubby said he has thought about it when we were in Chicago, but noooo he had to go to Alinea, Moto and Charlie Trotter's...lol...off to Amazon.com!